A Delightful Tea Time at Happy Lemon! 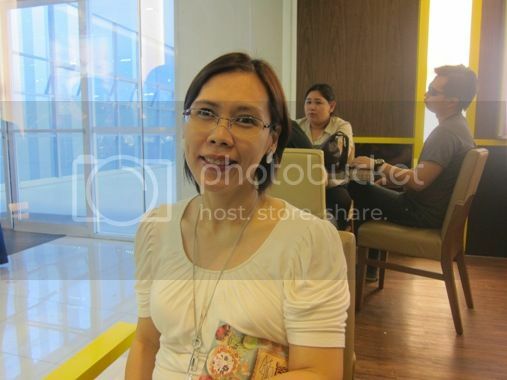 Last Saturday while was son was busy playing at My Playroom at SM Megamall, hubby and I went up to have tea at Happy Lemon. It was my first time to try their products. Hubby, however, frequented this store together with his friends because their office is just walking distance from SM Megamall. I wasn’t really sure what to order for myself, but hubby wanted Green Tea with Rock Salt and Cheese; he told me it’s one of Happy Lemon’s bestsellers. I was actually undecided between Lemon Yakult Mousse Spin or Milk Tea with Crispy and Brown Sugar Jelly, but one of the staff said I should try the latter, and so I did. Ready to enjoy my tea! I liked the atmosphere of the place; it’s bright and cheery. Everyone is supposed to be happy here, right? So we stayed for a while to finish our drinks and to imbibe happiness from the surroundings. The mixture of rock salt and cheese on top is creamy, frothy and slightly sweet and salty. To get the full flavor of this tea drink, you have to drink it straight from the cup, tasting everything from the sweet and salty cheese to the refreshing green tea. Ever heard of the melted cheese mustache? Well, you’ll get that after every sip of Green Tea with Rock Salt and Cheese. Lol! Hubby absolutely loved this, by the way! This is also one of Happy Lemon’s most popular products. I was curious as to what “crispy sugar jelly” means. However, I did not get to experience this. The brown sugar jelly is actually chewy, not crispy, which was exactly what I liked. 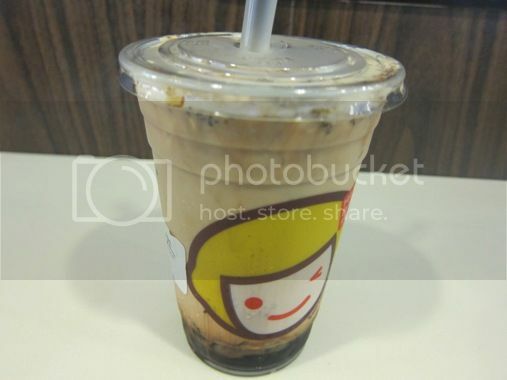 The brown sugar jelly was also not too sweet, which was another plus, and I could really taste the green tea and milk. I really enjoyed this! Because I was happy with what I got, I’ll surely come back to try their other products. 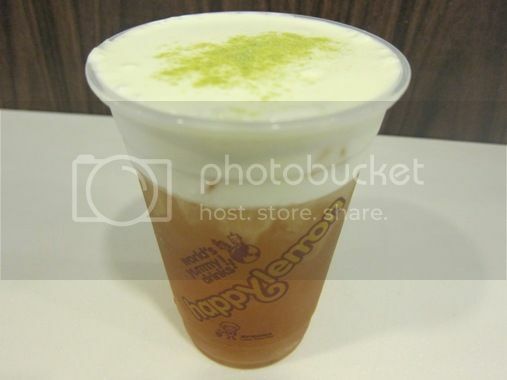 This entry was posted in Drinks, Green Tea, Green Tea with Rock Salt and Cheese, Happy Lemon, Milk Tea, Milk Tea with Crispy and Brown Sugar Jelly, SM Megamall. Bookmark the permalink. 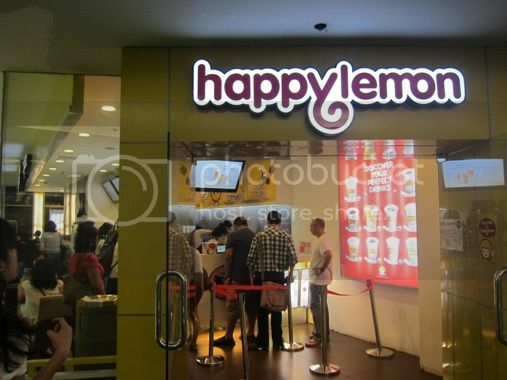 5 Responses to A Delightful Tea Time at Happy Lemon! only tried it one & got pineapple lemon tea with nata de coco. i liked it.. but i liked chatime & gong cha more. i like their pineapple flava! Thanks for sharing, i think i’ll try their milk tea.